In Part 1, you learned powerful ways to leverage audience fragmentation. Now it’s time to take the next crucial step: from segmentation to personalisation of your marketing strategy. How can you make the switch to personalisation? Let’s start by learning some important facts. Most marketers rock at segmentation. They’ll use some form of database or CRM to identify who should be targeted in a particular campaign. The problem is that segmentation is static. Its ability to address the changing needs and preferences of customers is vastly inadequate. Customers are more than age, gender and location safely tucked in a database. You need to identify the preferences and behaviours of your customers in order to provide them with the very best experiences and increase their engagement with your brand. Consumers exhibit multi-device and multi-interest browsing habits that break all traditional segmentation structures. Broad segments such as “gadget enthusiasts” or “Generation Z” are no longer as effective today as in the past. That’s why you need to constantly create agile targeting models that adapt to your customers’ changing behaviours. This way, you can deliver your content at a personal level. Your goal should be to target individuals based on a number of identifiable characteristics and behaviours, rather than targeting a group of people who share similar characteristics. This is where creating audience personas come in. STA Travel, a youth-oriented company used personas to increase their website visitors, grow sales, and get more than 10,000 laser-targeted customers. Using the quiz, they placed contestants into one of five ‘Travel Tribes.’ They had Life & Soul, A-Lister, Thrill Seeker, Live Like a Local, and Free Wheeler. The campaign got more than 40,000 participants, providing the company with a lot of persona data that they can use to launch and deliver personalised campaigns. Building audience personas avoids wasting resources pitching inappropriate marketing content to uninterested consumers. For example, travellers who are interested in meditation, yoga and soulful retreats may not be interested in VIP access or a Valentine’s Day yacht party. Being more targeted will ensure that your content resonates with the audience. To get the best out of audience segmentation, you must understand the ins-and-outs of your target audience. The most successful marketing campaigns deliver a core idea spanning multiple channels. This allows each component to amplify the effect of its predecessor. Media is carefully planned to touch the right audience with the right message, in the right channel at the right time. Achieving this in 2016 has become sort of a Herculean task. Budgets are tighter than ever, and prospects are fragmenting their valuable time across more than one device or network. It’s hard to reach the right audience when you are concentrating on only one channel. Studies show that creating interactions with prospects across multiple channels amplifies engagement and interaction. In other words, strategic planning is more important than ever before. Success will only be achieved by a keen understanding of your prospects; their desires, behaviours, and values. How well do you know the audience? Simply put, if you fail to understand your customers, you’re going to lose them. If you think you know your customer inside-out, that’s awesome! But take note. This is not a guessing game. The only way to understand your customers is through keen, deep, and ongoing research. Having one-on-one conversations on the phone and over Skype or over the conference table, are some of the most effective ways of starting to understand your customer. If you just began customer research, I’ll actually recommend that you start with these. Unfortunately, trying to get your customers’ data through one-on-one conversations is time-consuming and not scalable. Fortunately, you can create personas for your ideal audience. Audience personas (also referred as buyer personas) are generalised, fictional representations of your ideal prospects. The representation is based on real statistics of your existing customers and research. When creating buyer personas, you should include every aspect of a customer’s life. Start with their demographics and work your way through their goals and passion, motivations and behaviour. 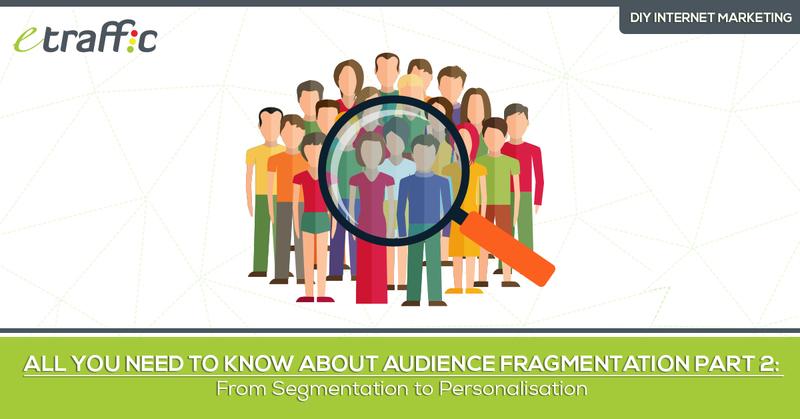 Having a thorough understanding of your buyer personas will help you deal with a fragmented audience. As you will find out, you don’t have to market to the whole universe. You only need to reach those people who qualify as your buyer personas. Such people exhibit a unique set of characteristics. You may, for instance, find out that some of them like to hang out on a particular social media channel. A well-defined buyer persona helps you decide where and how to allocate your money, time, and other resources. 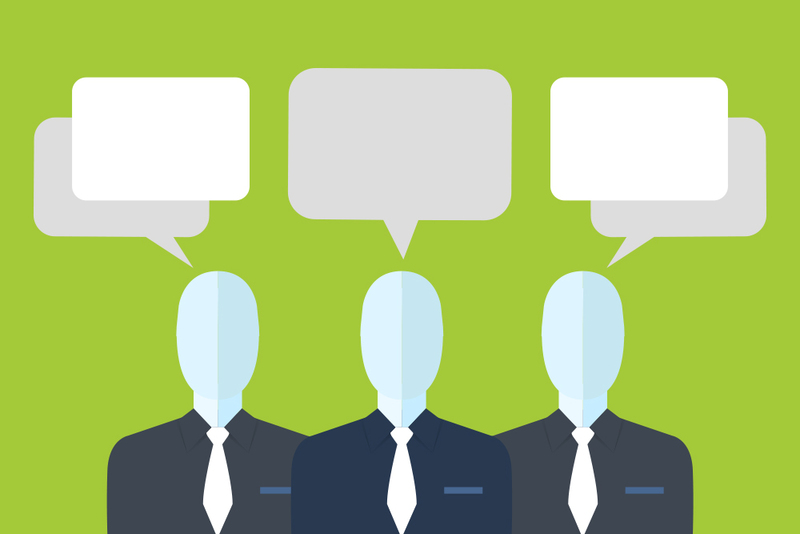 Don’t make the mistake of confusing market segmentation with audience personas. While market segmentation is good, it cannot help you craft the ideal marketing message or the strategy to deliver the message. Assume that you know 43% of men aged 24-30 are interested in buying a fancy razor, and that video and graphics are key elements that influence their buying decision. However, audience personas add a wealth of targeting options that segmentation lacks. An audience persona will help you craft the right campaign to reach Mark, who is 33 years old, works in a mid-level job and is concerned that the fancy razor might leave his face feeling irritated. Mark wants to be reassured that the fancy razor does not have any side-effects. He is different from Timothy who is also 33 but unlike Mark, he is a go-getter who likes trying new things all the time. Although personas are fictional, you must define them with rigor and exactness. The best approach when creating personas is to base them on your existing customers. How can you Create Audience Personas? This is the million-dollar question. Fortunately, creating buyer personas is not that difficult. You only need to ask the right questions to the right people, and present the information you get in an organised way. From where else is the person getting information about your product or a similar product? What are his goals in relation to your product? What need does he need to satisfy? Even as we talk about creating audience personas, you should watch out that you do not get caught in an endless loop of trying to be perfectly perfect. There are more than 3 billion internet users in the world, and each one of them has their unique digital footprint; No two people behave exactly the same way. But digital marketing is about personalising messages for your prospects. How can you possibly achieve this? Unless you are Coca-Cola, it is probably impossible for you to cost-effectively personalise digital marketing or content to every single one of your prospects. 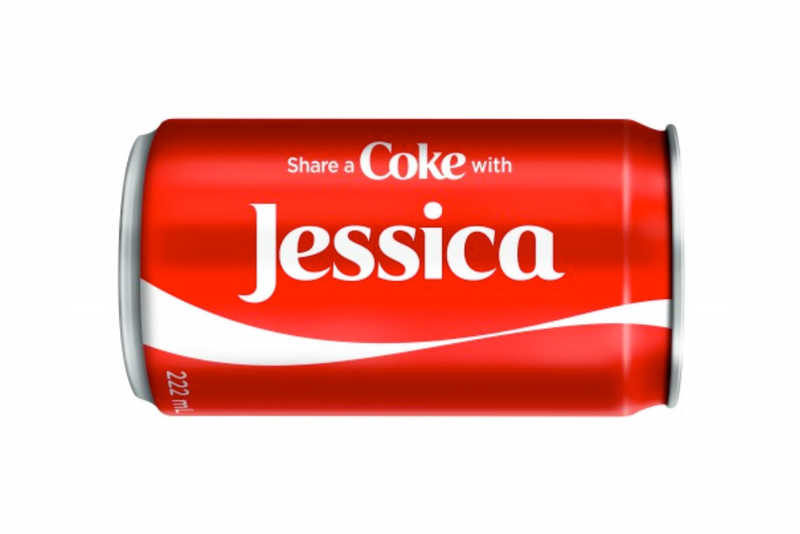 The ‘Share-a-Coke initiative’ gets as close as one can hope for. But very few entrepreneurs have the advertising budgets of the Coca-Cola Company. Instead of running your coffers dry trying to personalise content to each of your prospects, you should use behavioural targeting. For example, you browsed through the gardening category of the Amazon website. Now, we are going to follow you around the internet showing you farm equipment on every website or blog you visit. To take behavioural targeting a step further, marketers create personas using a blend of raw data and clever guesses. Building personas for your target audience will revolutionise the way you communicate to them. 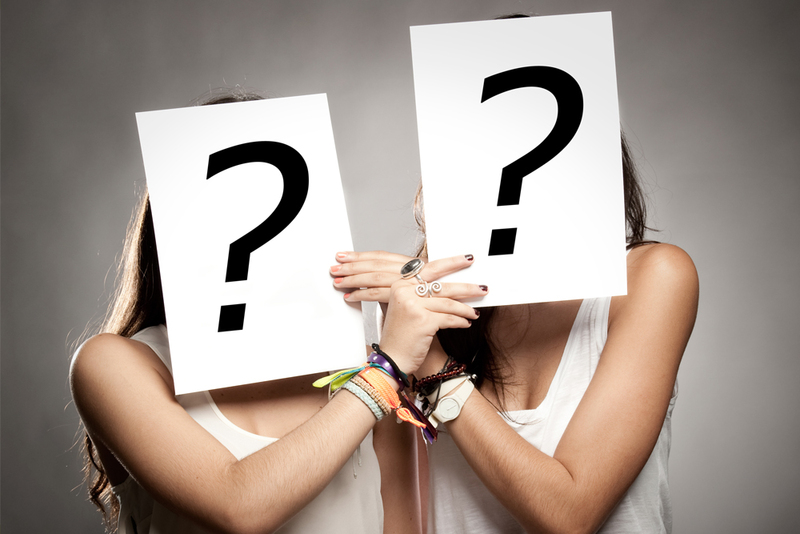 But how many personas should you possibly create for your business? Create 3 to 5 personas to represent the bulk of your customers. A maximum of 5 personas is big enough to cover most of your prospects yet small enough to be specific. Marketing on social media is one of the most powerful ways for a business to reach its audience. Social media fragmentation is one of the most common challenges that I have encountered when trying to guide businesses on social media marketing strategies. A lot of marketers try to use as many social media platforms as possible to maximise their customer reach. Unfortunately, this results in fragmentation, not only in attention, but also in resources. Whatever strategy the company might have had is soon abandoned as frustration sets in. A new social media app is launched, and suddenly, it’s receiving a lot of hype from the tech press. Eventually, this hype will reach your marketing team, and possibly convince them that they need to try it out. If they like the platform, they end up allocating most of the time and resources on the app, neglecting other social media channels that were working. When a new social media platform is adopted, it is not cohesively integrated in the wider social media marketing framework. Hence, the platform operates in isolation and does not complement the others. It’s a difficult question without much of a context. But the right approach would be to choose a platform that has the right composition of your target audience; both the numbers and demographics must be there. If a platform’s users match the kind of customers that you want to reach, then it is probably worth your time. Hyped new social media platforms can only be justified by their percentage growth rates, and the level of engagement they create with the audience. Similarly, despite being the object of much criticism, Facebook has the right reach and engagement to quench the needs of most businesses. Sometimes, being on a certain social media platform has more to do with the dedicated function of a platform than its engagement and reach. For instance, while Pinterest clearly lacks in reach and engagement, I have found that it always aids me in developing a gallery with a particular theme. Again, Facebook is the most versatile among all existing social media platforms. However, if you are not segmenting your social media audience, you are doing your business a big disservice. If you have the money, paying to advertise on social media such as Facebook, Twitter or LinkedIn provides you with very rich segmentation options. You can segment your ads based on pages on your website that a prospect visited. For the budget-minded entrepreneur, various free targeting options are available on these social media channels. These too help deliver more precise messaging to your prospects. Organic targeting will allow you to target content to a certain demographic. Organic Facebook targeting allows you to target audiences by gender, age, location, and language. On Google+, you can organically target posts by publishing them to a certain circle of friends. On Twitter, you can create lists to target with your content. With organic targeting, you can’t use the lack of budget as an excuse for sending unsegmented messages. Experiment by sending targeted campaigns to your audiences today. You might be surprised at the increase in the level of engagements. Social media is all about creating engaging communities. Building a community of consumers who have a common interest is an easy way to get a chunk of your social media audience in one place, and gain insightful knowledge about them. You can choose to keep the group open (allows anyone to become a member) or closed (moderators must approve new members). Each one has its own merits and demerits. An open group will give you information about how general people feel about your brand. The large number of people who can join an open group makes it a fertile surveying ground. A closed group, on the other hand, gives you the opportunity to cherry-pick only the most qualified leads. This could be a group of people who have attended your online course or webinar, or even existing customers. Is audience fragmentation a bad or good thing? I believe that audience fragmentation is a blessing to the marketer who has mastered the art of market segmentation. You don’t need to market to the whole world. All you have to do is identify where your prospects hang out and concentrate your efforts there.